At the risk of piling on, it seems worth following up on yesterday's post drawing the link between my cover story on Mitt Romney's temperament and his testy Fox News interview to note that some of Romney's toughest critics on the right are now drawing conclusions about his sensitivity that some of my piece's critics on the left shied from. Simply put: the "thin-skinned" charge is starting to stick among conservatives. The lead story on the American Spectator's Web site is by George Neumayr, headlined "Mad Mitt" and sub-headlined "Where did his unflappability go?" My piece argues, of course, that he was never as unflappable as everyone made him out to be. ...For the past few weeks Herman Cain has been forced to answer whether he had sexual relations with a host of women. Newt Gingrich has been forced to answer questions about his business relationships. Rick Perry has been forced to answer questions about the HPV vaccines. And suddenly Mitt Romney thinks it is uncalled for to ask him why he has changed his position on so many issues so often around the time he begins a quest for a different political office?! If reasonable questions from a Fox News reporter are “uncalled for” and “unusual,” there may not be big boy pants big enough to hold Mitt Romney and his tears once the mainstream media starts asking him the questions he has so far done his level best to avoid. Have no fear, dear readers, you will not see me quoting Erickson heavily in the coming year. But I have to give him credit: he goes on to make a very good point about the odd way in which Romney escaped serious attention in the last campaign, which may help explain his surprising reaction to this week's utterly conventional questioning from Fox News. 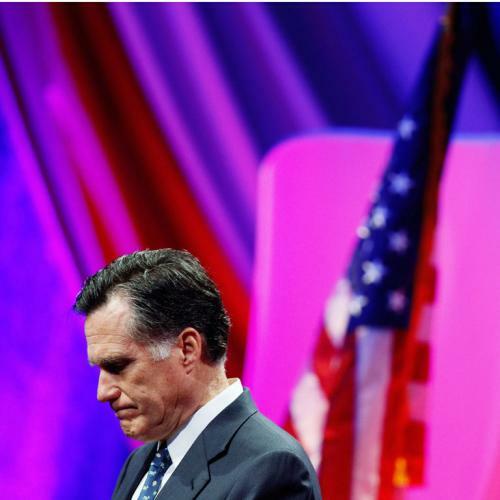 I think what we are seeing is that Mitt Romney did not truly get vetted in 2008. Remember, Giuliani was in first place and the media fixated him until he started to collapse. Then McCain and Romney both started rising and the media was so orgasmic over McCain as the comeback kid they ignored Romney until just as they were turning their gaze to Romney a guy named Huckabee took off like a rocket. It became all Huckabee all the time. This time around, the race has been so fluid and so many have bounced ahead of Mitt Romney, he’s largely avoided the TSA/MSM pat down. Hell, everyone figured they could just do it in the general election. But now Mitt Romney is having to get out there because people are starting to notice he is avoiding tough questions. And it seems more and more the man just cannot take the daily grind of people asking him about . . .wait for it . . . wait for it . . . . . . his record. Never have we had a more uptight potential president. This is all because he’s a big, huge, bundle — well, actually, a lean, well-exercised, impeccably groomed bundle — of contradictory positions whose history he cannot possibly justify without standing up and screaming: Look, I’m running for office! I have to make things up!